I’ve been busily working on layout and design for the big mysterious project and handling Expired Film Day, but I’ve found time to do some other things, too. The mysterious project is really starting to take shape, which is really quite exciting. Expired Film Day has been a bigger success than I could’ve imagined, which has been the best kind of surprise (check out all these submissions!). And somehow I’ve already shot a half dozen rolls of film with the Leica (coming soon). But what I’ve spent more time (or, at least, brain power) on lately is instant film, and an exciting side project with Kate, which I’d like to share today. I haven’t made a big secret of the fact that I’m not a huge fan of instant film. I wasn’t really all that concerned when Fuji discontinued the last peel-apart instant film in late February, although I was sympathetic to my many friends who are fans of the stuff. The majority of the results I’ve seen with Impossible Project film haven’t thrilled me (though when it’s good, it’s really good). Instax Mini has been fun to play with when I’ve broken out the Polaroid Mio. And peel-apart film is pretty cool. I’ve fixed up a few old Polaroid Land Cameras in the past, and posted some pack film results from my Polaroid 350. I’ve had a pack of Impossible Project PX-70 Color Protection Film in the fridge for a long time, waiting to try it out in my Polaroid Spirit 600 camera, but this is the first time I’ve actually used it myself. Inspired by @KristenWACamera, I figured I’d make this #InstantApril, at least for a day. So I gathered up all the remaining instant film I had: three packs of Fujifilm Instant Mini, one pack of Fujifilm FP100C, and the one pack of Impossible. 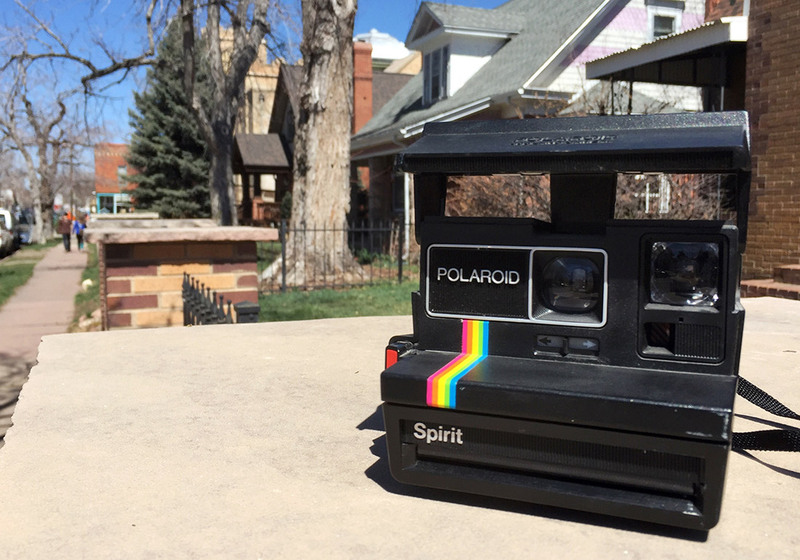 I paired each with its camera and set out to some of my favorite walking-around photography spots in south Denver. In just about 6 hours I managed to blow through all of it. 30 Instax Mini pictures, 8 Impossible PX-70 shots, and 10 frames of FP100C. The Impossible stuff still doesn’t thrill me. Who knows if it’s because the film is an earlier iteration, or because it’s been in the fridge for five years, but the results were just meh. As you can see, the chemicals didn’t spread completely and left the bronze-colored areas undeveloped. 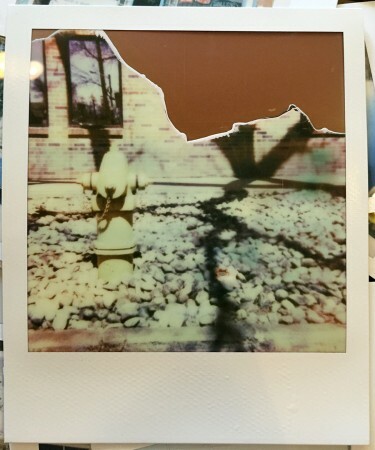 The Instax was fun, but the colors simply don’t reflect reality anywhere near well enough to thrill me. I’m going to have to go remake a few of these frames with the Pentax 6×7 and a roll of Kodak Portra 160VC, I think. The FP100C, however … well, a lot of mine came out darker than I’d like, but the saturation and sharpness are so much better than the integral films. Maybe I’ll miss this stuff more than I thought. Maybe if New55 actually brings a replica based on their recent proof-of-concept to market I’ll give it a try. In the meantime, however, I now have no instant film left at all, and I don’t plan on buying any more. I will be reviewing the Polaroid Mio — a fun camera and not nearly as ugly as Fuji’s Instax Mini cameras — at some point in the future, however. I’ll be sharing the results sporadically throughout the month on Twitter. Hats off to @JefPrice for putting together, in the span of about 12 hours, a new instant film photography contest for April: The Ultra Polaroid Boogie 2016 (Follow on Twitter at @PolaroidBoogie and hashtag your photos #UltraPolaroidBoogie16). Want to win some free instant goodies? This April is your chance! All month just by shooting instant photos you can have your chance at a grand prize of both Polaroid Spectra & Colorpack cameras! 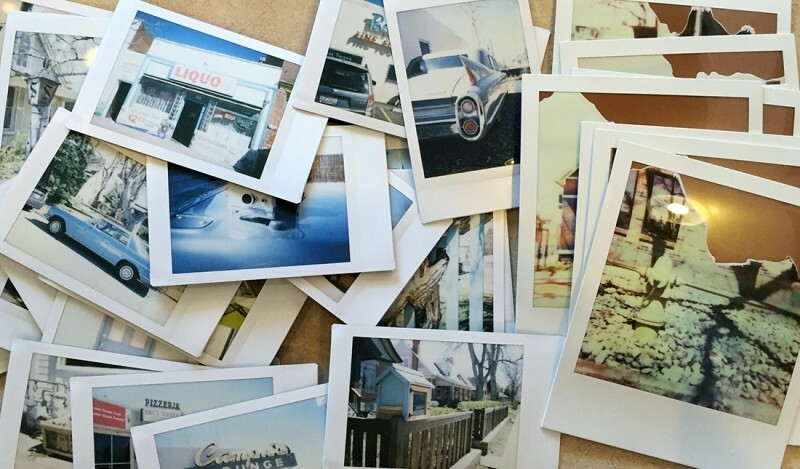 All instant photography is welcome, but we’re of course looking for outstanding Polaroids. Any photo tagged #UltraPolaroidBoogie16 will be judged, you can share & enter as many as you’d like. Us judge type folks will also be sharing our work, but we will not be taking place in the winning. Check out the full rules and guidelines at polaroidboogie.tumblr.com. Why do I care, since I’m not a big fan of instant? Well, I’ve been invited to be one of the judges. Maybe I can bring a little sanity to the process since I’ll largely be looking past all the accidental stuff and trying to judge based on what I can see of the photographer’s intent and vision. Please join us for a bunch of nifty prizes and fun! I’ve mentioned before that Kate’s obsession with yarn (and knitting) rivals my own obsession with film photography. It’s even led me to find inspiration in fiber and crafting I hadn’t previously considered. One of the big problems Kate runs into all the time, though, is that how-to videos for knitting stitches are nearly always five, 10 or even 20 minutes long — with 10 or 20 seconds of useful stuff in the middle. 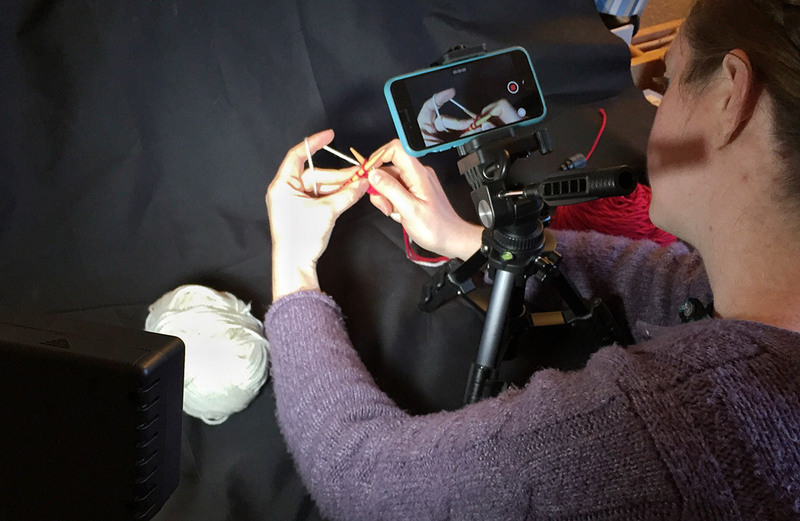 In a bid to help other knitters of all skill levels, she was inspired to create a new YouTube channel — Katchabird Knits — and populate it with videos that get right to the point in (*about) half a minute. Hence, 30-Second* Knits. From her channel description: Tired of 20 minute knitting videos where the presenter just *cannot* stop talking and show you the stitch already?? I was too! Welcome to Katchabird Knits, home of the 30-Second* Knits videos. I’ve been helping her out with graphic design, production and some light-duty video editing. We set up a little “studio” that consists of a fabric scrap draped over an old PC tower to imitate a cyclorama, a window and a single artificial light, and an iPhone on a tiny tripod. The results, I must say, are better than I would’ve expected. So, if you have a knitter (or aspiring knitter) in your life, help us out and show them Kate’s YouTube channel. Kate has a handful of videos posted now, with many more to come very soon. Hopefully it will help your knitter friends, too! Here’s a direct link to the first video to get you started: Knit stitch, Continental style.